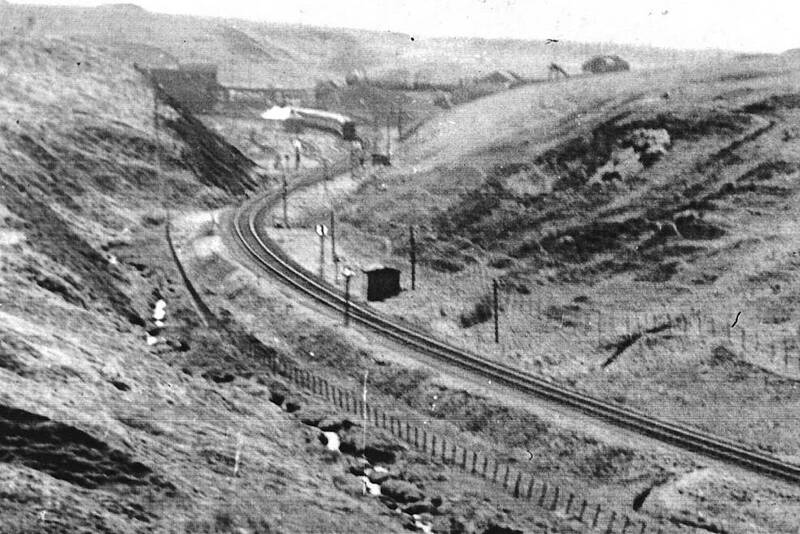 The Station opened in the 1850s and closed in 1965. 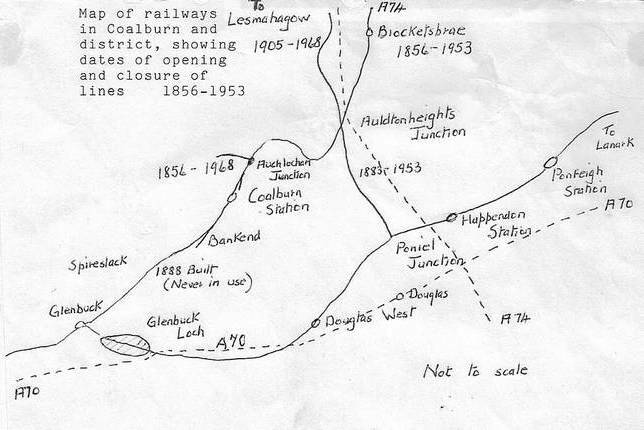 Freight continued on the line as far as Auchlochan No 9 Colliery until 1968 when the branch was closed. 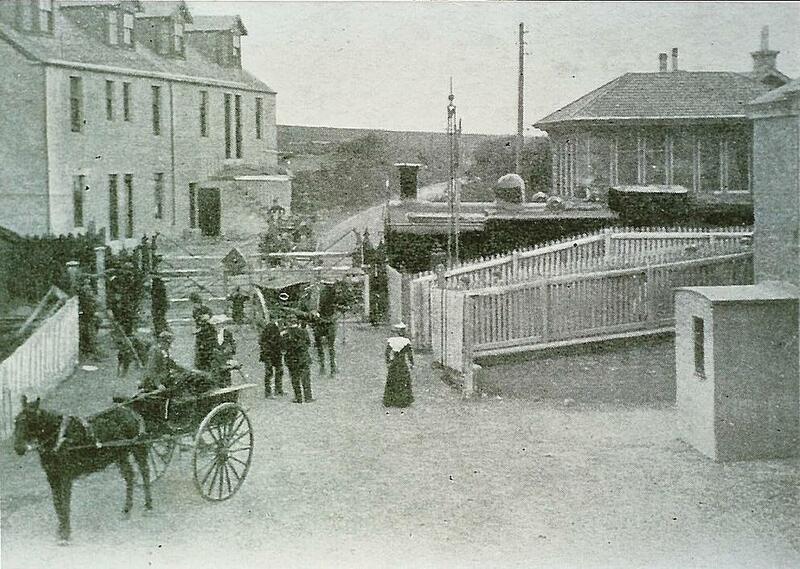 Entrance to Coalburn Station c. 1905. 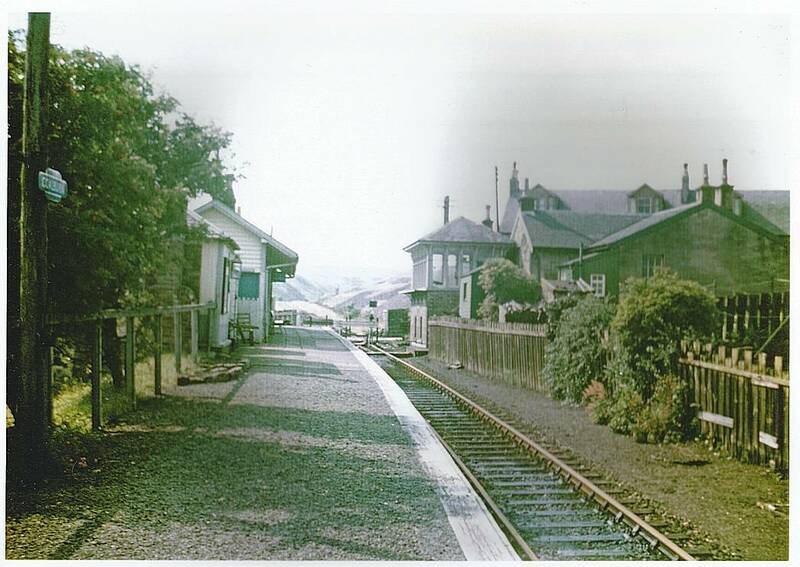 Coalburn Station. c 1910. 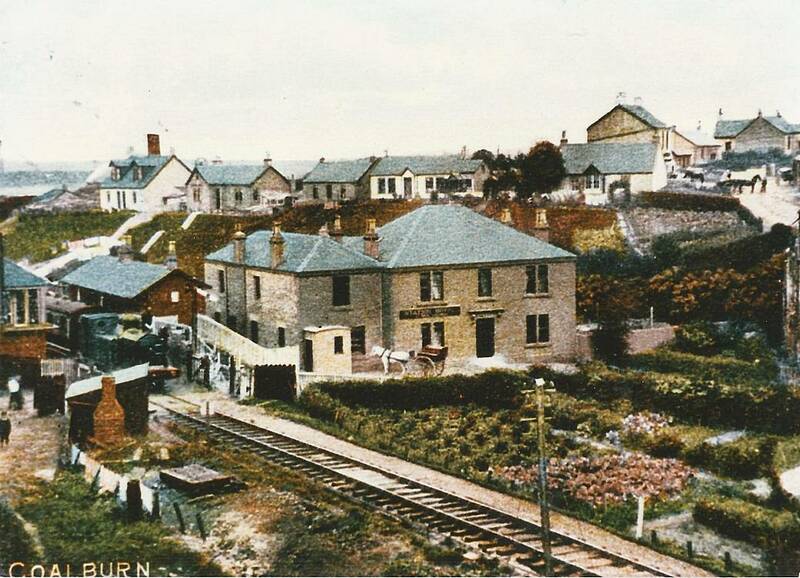 Copy of postcard showing station, station gates, Station Hotel, chimney of Poneil Pit and horse-drawn vehicles in front of post office. 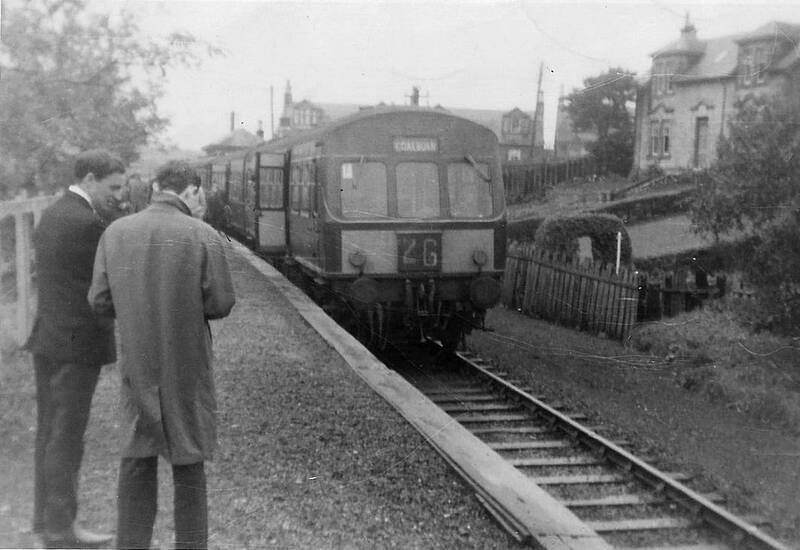 Beyond the station level crossing gates, the line continued to the colleries at Bankend. 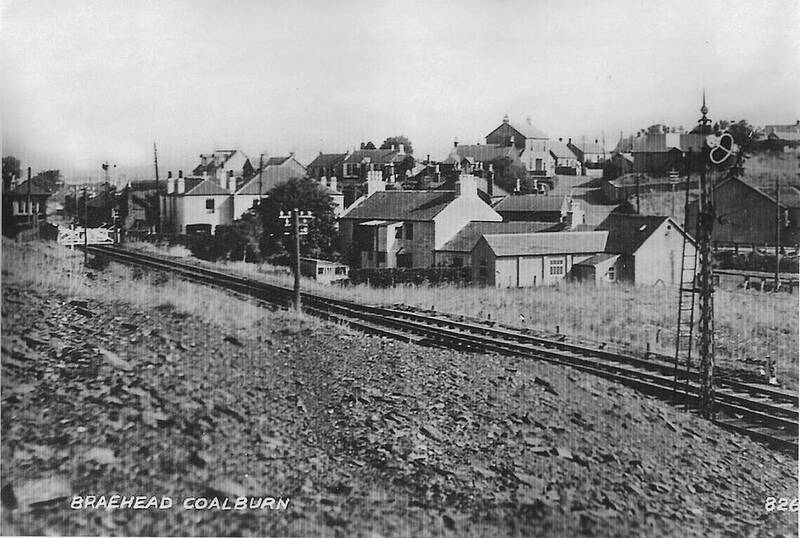 The Coalburn Inn can be seen and, above it, the Post Office. 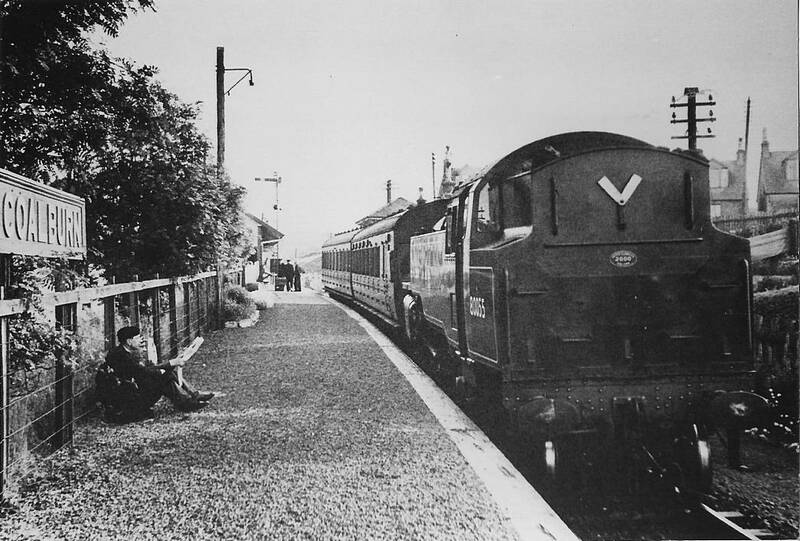 At Coalburn Station on the 6th July 1955, BR 4MT 2-6-4T No. 80055 and crew pause prior to working the 19.18 to Hamilton. Photo: J.N.Faulkner. 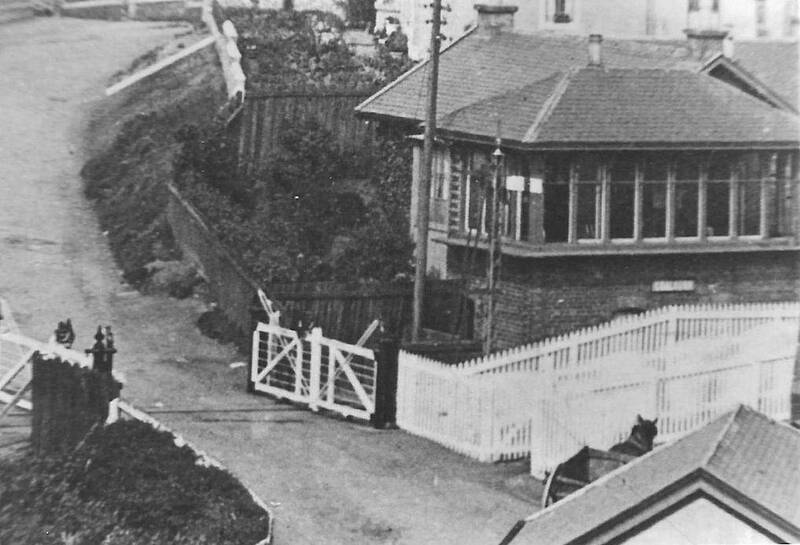 Coalburn Signal Box, railway gates and entrance to station, 1955. Photo; the late Jim Hamilton. 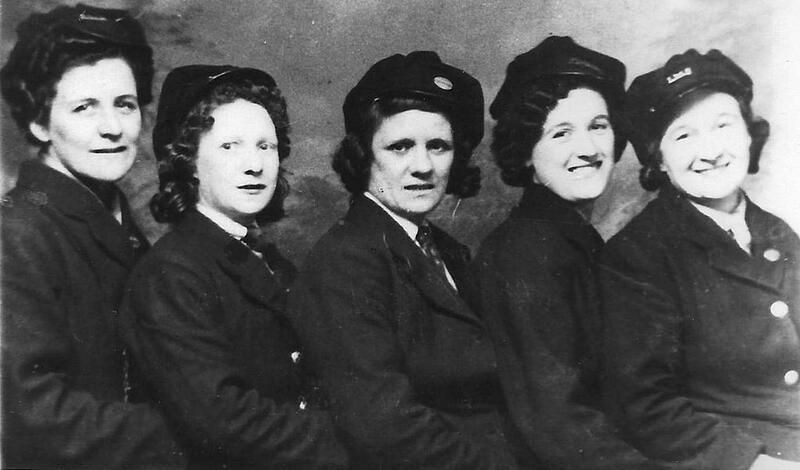 During the 1939-45 war, railwaymen were called up to the armed forces and ladies were taken on to man the stations. 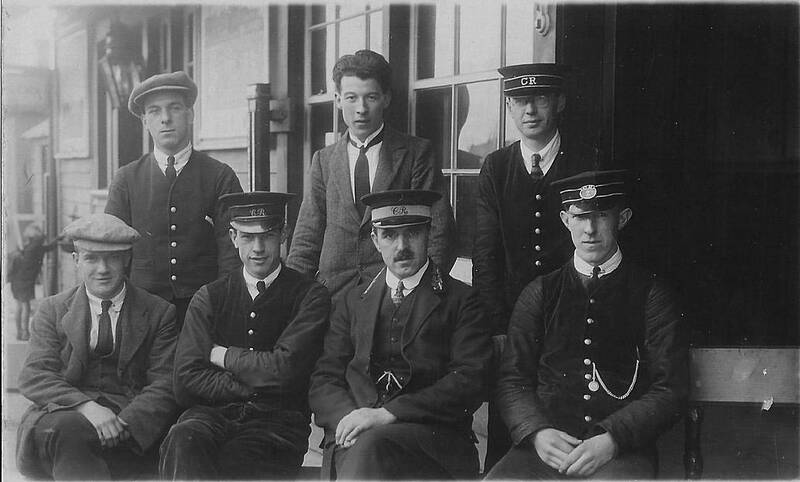 This group was photographed at Coalburn Station in the LMS era in 1943. 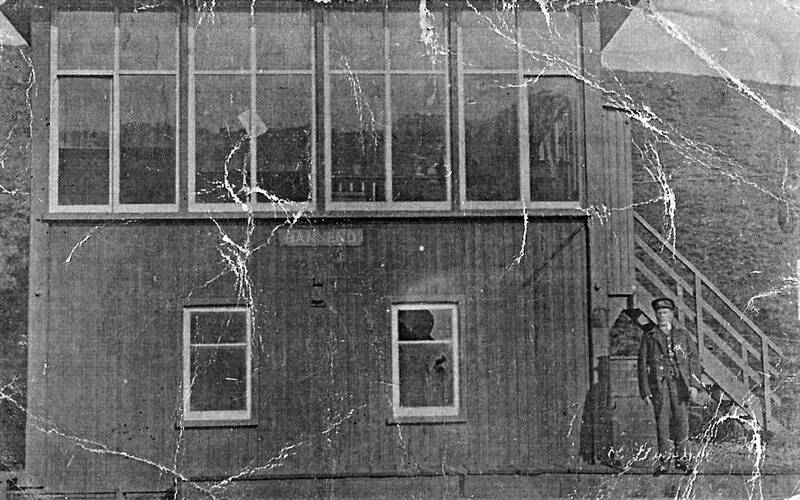 Signal Box at Bankend. Bobby French is at the stairs. Apologies for the condition of this photo.